Have you driven a 1973 Volkswagen Beetle? Displaying 31 - 40 of 41 1973 Volkswagen Beetle reviews. Good Little Car. — Cheap to work on, has a certain type of carachter( chicks dig it !! )good on gas. A Fun On/off Road Car....gets All The Looks — With a 73 VW pancake engine that is far from stock, and 125 hp to the rear wheels its not that fast. The gearing is set for offroading and besides the looks on the way to the trails, that is the only thing that its great for. With no doors it calls for a day 70 degrees or above. My Canary Yellow "melissa" Was Alittle Rusty When I Got Her In Port Moody. — I prefer the regular Beetle body to the Super Beetle, but from 1973 on, the quality starts to slide. Cons: Rusted somewhat, corners and handling not as good as the Super Beetles with their MacPherson front struts. Love It, Love It, Love It — this car is fantastic, we use ours all the time,our only problem is the engine compartment hood won't open, but other then that we love our bug. It is also a great way to meet people and make friends, every where we go some one all ways stops us and asks about the car and tells us what they have also. I Have A '63 And '73vw Bug, Gotta Love 'em! — My 1973 has a lot more zip, however, my 1963 has a lot more class! These are great little cars to cruise! Over 30 And Still Zippin! — I have a 1973 Bug that I have had for 17 years. I am not really a Bug person as this is the only one I have ever owned and probable will ever own, but it is part of the family. over the last 17 years I have only had to do minor repaires on it and flipped the odomitor 3 times and recently put in a new engine due to the old one just lost it's get up and go and leaked a little oil constantly. 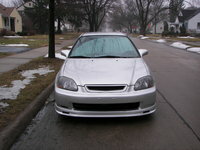 We have just replaced some body panels and are in the process of fixing it up and customizing it. I run around in it in the summer and it still gets me where I am going with all it's zip. Deutschland Classic! — This is the 3rd Super Beetle that I've owned and absolutely love the sound of that flat4. Did I rave about the gas mileage? 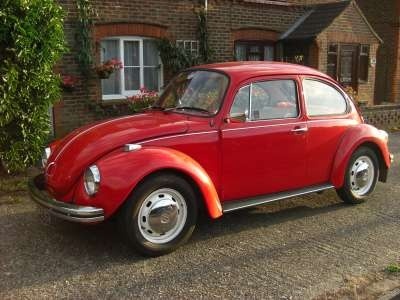 The Best Vw I Have Ever Owned — in 1973 I paid roughly $2400.00 for a new bug after trading in my 71 vw. I drove it all over this country from new york to washington.this car would give me about 30 miles per gal,go all day and night doing around 65 mph.I had this car for 8 yrs,really loved the car,waxed it once a month,no rust anywhere.then the battery went,so I took it to Sears,bad mistake,they put the battery in,hooked up the terminal wrong,positive to neg==burned out the entire electical system,the smeel I could not get out.they-Sears-tried to say that they did nothing wrong,finally they ageed to pay but the car was ruined,traded it in,some girl bought it and still drove it for 5 yrs--WHAT A CAR!!! CarGurus has 8,263 nationwide Beetle listings starting at $1,000.